View basket “Gilt-head Bream” has been added to your basket. You’ve got to feel sorry for the red mullet. It’s just a tasty little fish from Cornwall, but I bet you’re thinking of a literal mullet haircut dyed red. It’s a good job fish don’t take it personally, eh?! 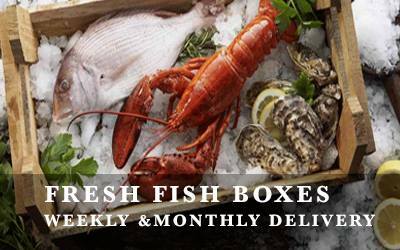 We recommend letting us fillet and portion it for you, ready to cook on arrival. Our fish are around 3-400g and, once we’ve taken the two fillets off for you, 1 fish will be enough for 1 portion. It’s virtually impossible to write a product description on something called a mullet without making a reference to hair. If red mullet isn’t a permanent feature of your seafood shelves, then don’t let it be on the fringes any longer! Oh dear. I wish I could say I won’t give up the day job, but this is the day job. The flavour of red mullet lends itself to stronger ingredients – floral herbs, like rosemary or thyme go well with it, as do chilli and garlic. We get ours out of Cornwall, as we do the grey mullet, as they are relatively abundant in Cornish waters. Here’s a recipe for you to try!